Moving to Park City, UT in 2016, Shred Optics and Slytech Protection are committed to building superior products in the action sports industry. For over 10 years now Shred and Slytech have looked to “empower athletes to push their limits and simply have fun” by engineering exceptional goggles, helmets and body protection for action sports athletes. Shred Optics Slytech Protection 2018 holds true to their mission and vision. By recently adding core snowboarders to their team; Tadashi Fuse and, just announced, Brandon Cocard truly show that Shred and Slytech are looking first hand to athletes for input on engineering their product, and as riders ourselves we appreciate that. In 2018 Shred Optics has introduced a goggle completely made of leftover/recycled snowboard materials, the “Simplify Natural.” Their new back protection is completely reengineered as well and has a much slimmer profile and looks very impressive. 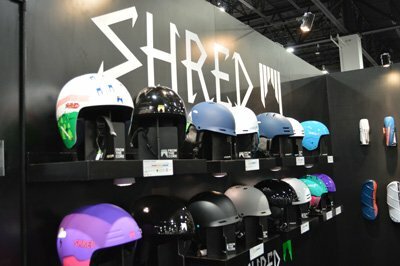 In addition to new googles, Shred and Slytech have a variety of helmets and protective gear for 2018 that are truly innovative, check out the gallery preview below!